*We attended this media event at no cost. 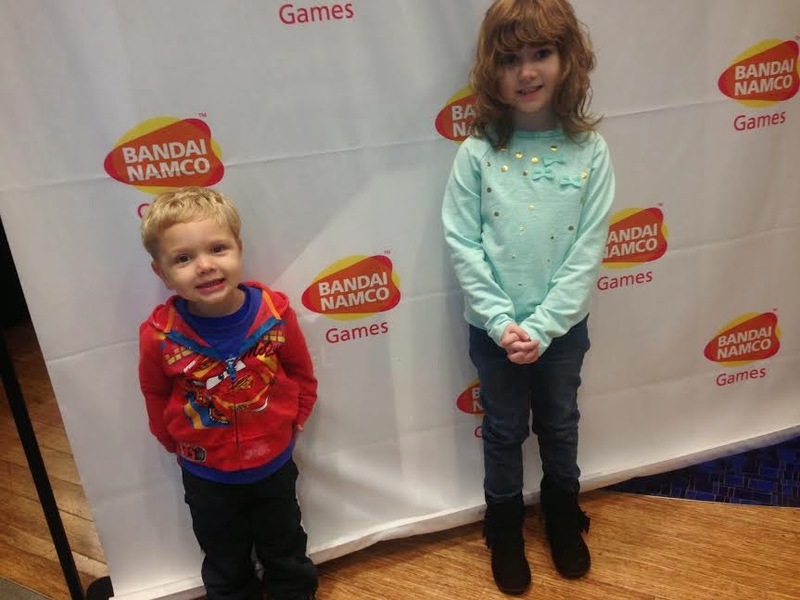 We recently had the opportunity to head to NYC to celebrate the release of three new games from Bandai Namco! We headed to the Nintendo World Store in NYC to check out these new games, get the chance to play them, meet the Power Rangers, and more! 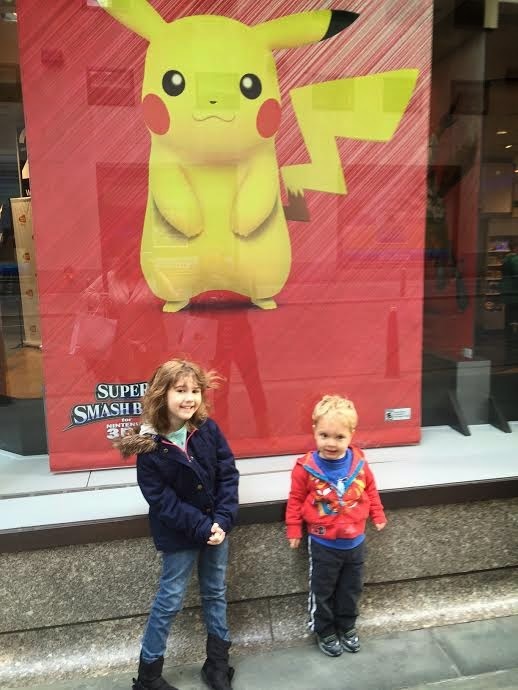 Keep reading to learn all about these new games and see how much fun we had at this event! During this super fun Pre-Halloween games showcase we got to try out the three new games released from Bandai Namco Games! These three new games are PAC-Man and the Ghostly Adventures 2, Power Rangers Super Megaforce, and Tenkai Knights: Brave Battle! We are going to tell you a bit about each below, but first a bit about the event! At this awesome event we got to try out these fun newly released games! 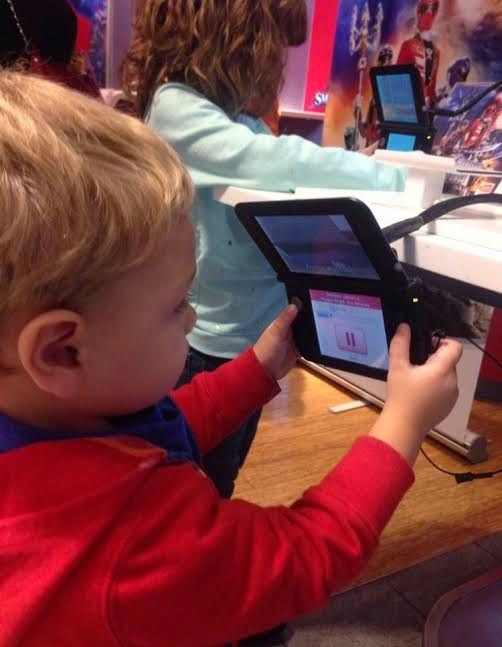 Gina's son, Jayson, and Alexandra's daughter, Mia, had fun playing Power Rangers Super Megaforce on 3DS and playing PAC-MAN and the Ghostly Adventures 2 on the Wii U! 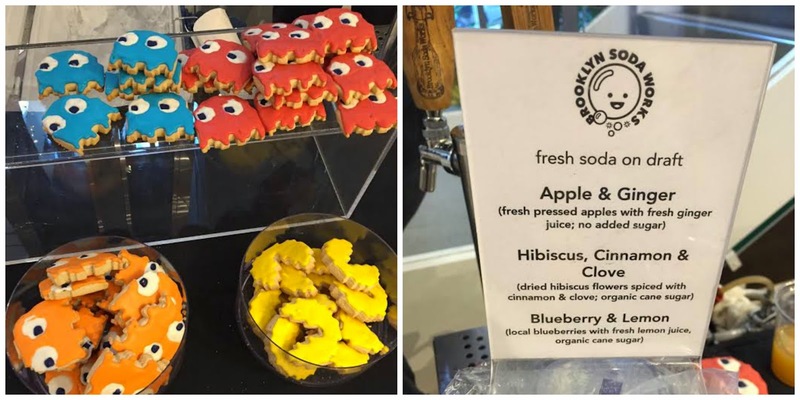 Mia and Jayson were so excited to eat super adorable PAC-MAN themed cookies. Gina and Alexandra loved the soda that was provided by Brooklyn Soda Works. Their sodas are natural, high quality, and healthy! 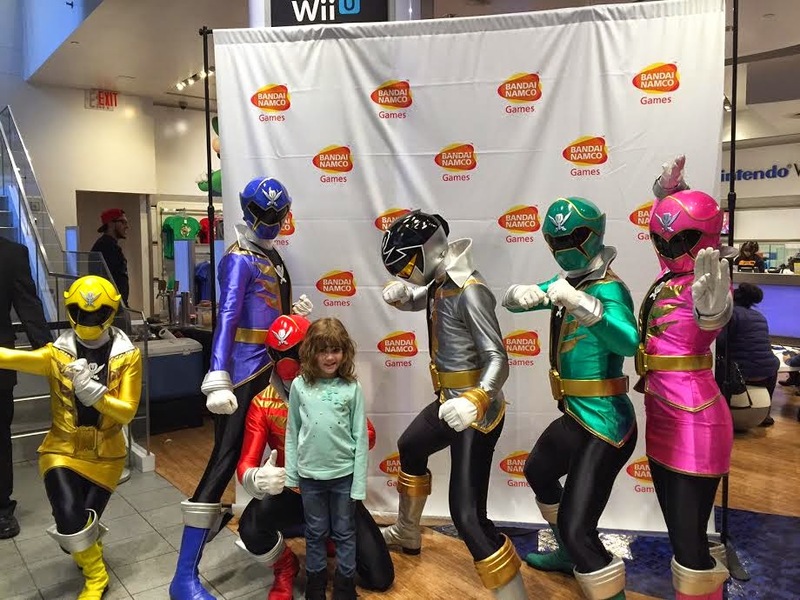 Both kids were also so excited when they saw the Power Rangers Megaforce team come out! Mia couldn't wait to get a photo with them. PAC-MAN and the Ghostly Adventures 2: The gang is back in this fun new game in the world of the PAC-MAN and the Ghostly Adventures animated series. This game features PAC-MAN, Spiral, and Cylindria in a new storyline as they defent PacWorld from the ghoulish army of Lord Betryus! You can get this game for PlayStation 3, Xbox 360, Nintendo Wii U, and Nintendo 3DS! Power Rangers Super Megaforce: The Power Rangers Super Megaforce must defeat a massice alien Armada sent to conquer earth in this new 3DS game! With the help of their supernatural guardian, Gosei, the Power Rangers are given special morphers and keys to give them the ability to morph into rangers from the past giving them incredible powers, weapons, Zords, and Megazords! Tenkai Knights: Brave Battle: Harness the power of Tenkai Energy to shape shirt into one of the legendary Tenkai Knights! In this game for Nintendo 3DS players are able to enlist the help of a friend through co-op gameplay to complete missions and champion the world of Quarton together! Hack and Slash through enemies with punishing melee combos or pick them off from a distance with long-ranged attacks! Thank you so much to Bandai Namco and Nintendo for a fun morning and some amazing swag!